(Rappler) MANILA, Philippines (UPDATED) – Cebu Air Inc., operator of budget carrier Cebu Pacific, is taking full control of Tigerair Philippines as part of a strategic alliance meant to strengthen their position in the competitive regional market. The company told the Philippine Stock Exchange in a disclosure on Wednesday, January 8 that it will buy 100% of Tigerair for $15 million and expects the deal to close in a few months. 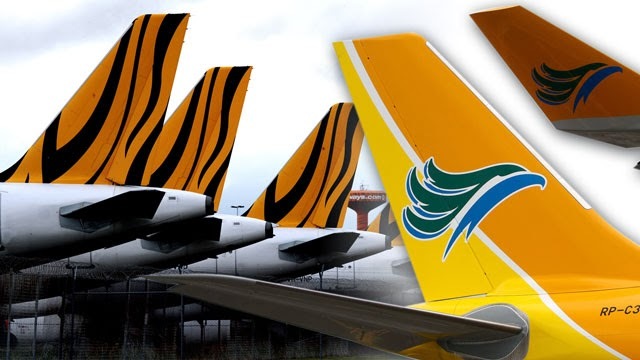 Also on Wednesday, Singapore's Tiger Airways Holdings Ltd. confirmed in a disclosure to the Singapore Exchange that along with other shareholders, it will sell its Philippine affiliate to Cebu Air of the Gokongwei group. The Singaporean airline owns 40% of Tigerair Philippines and will sell this for $7 million. Filipino investors, led by businessman Tomas Lopez, own the remaining 60%. Tiger Airways said it is selling its stake, but will continue to operate routes between Singapore and the Philippines under an alliance, involving codeshare and interline agreements, with Cebu Pacific. "This partnership with Cebu Pacific is consistent with our asset-light strategy, and builds upon our other alliances," said Tigerair Group CEO Koay Peng Yen. "We look forward to achieving greater cost savings from the coordinated operations while providing more travel options and greater convenience for our customers." Cebu Pacific president and CEO Lance Gokongwei added, "this strategic alliance will allow both Cebu Pacific and Tigerair to leverage our extensive networks spanning from North Asia, ASEAN, Australia, India and all the way to the Middle East." Interline agreements allow two or more airlines to issue tickets on behalf of each other, while retaining the designator code of the other airline. Code sharing, on the other hand, refers to a practice by which two or more airlines share a flight. This flight is operated by one airline, but seats are sold by all partnering airlines. Tigerair, formerly Southeast Asian Airlines, operates an average of 118 flights per week using 5 aircraft to 11 domestic and international destinations, from its bases in Manila and Clark. Cebu Pacific operates an average of 2,200 flights per week with 48 aircraft to 24 international and 33 Philippine cities in its network. By combining their resources, Cebu Pacific will be able to provide services to high-growth markets, including Australia and India. Tigerair will be able to fly more passengers to additional cities in Cebu Pacific’s extensive network in the Philippines and North Asia. However, instead of folding it into Cebu Pacific, Gokongwei said Tigerair will operate as a distinct entity for the time being, retaining its existing managers and brand name.